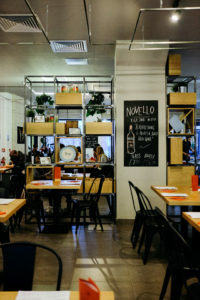 Noi Quattro Pizzeria was our venue of choice last week and we could happily eat it again, and again… give us more pizza! Such subtle marketing that we didn’t even realise that Noi Quattro’s initials are NQ. Guess where they’re based, in Northern Quarter. Nicely played guys! 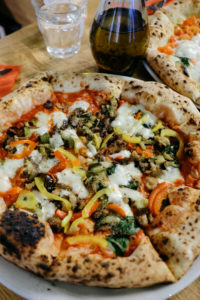 Dall’orto Bio (with Mozzarella) – Fresh veggie frenzy pizza with a tomato base all made in a proper woodfire oven adding the right level of crispiness – Highly recommended!